WALKER, Mich. (WZZM) - Plastic micro beads are being phased out of some skin care products. 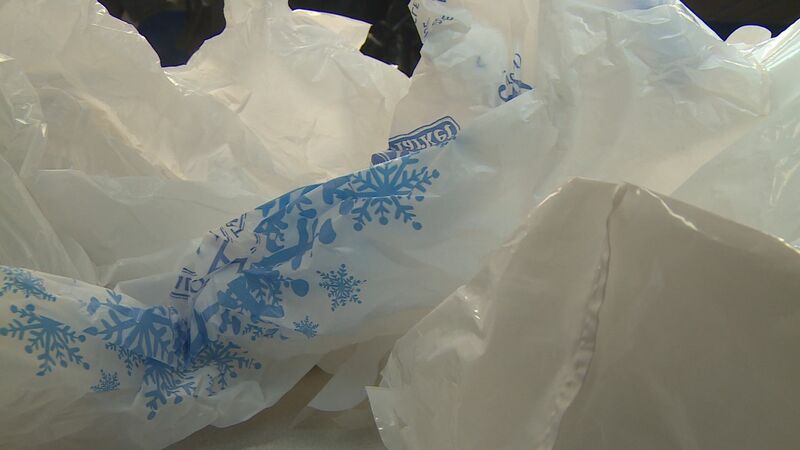 Now, a Walker woman wants to take it a step further by banning plastic bags. She took her crusade to the City of Walker. "Lets for go for a run," Catherine Pearce says as she leaves her house for a favorite pastime for her and her dogs. 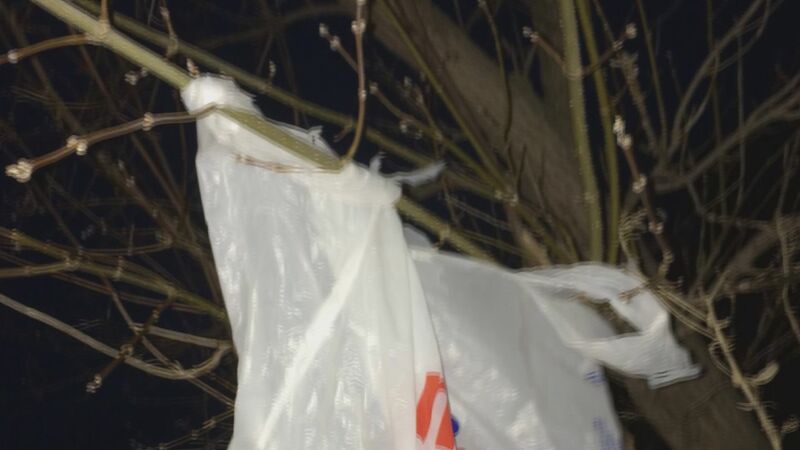 While out two years ago, she began noticing plastic bags around her neighborhood. "It's usually along the trees along Richmond here." She began taking photos and cleaning it up. "I could stop and get four or five easily," said Pearce. "Once the snow melts, I got three huge bags of plastic and trash." They're found stuck in trees and in ditches. According to ScienceLearn.org, it can take a single bag up to 500 years or more to degrade. This is why the West Catholic teacher has become a crusader against single-use plastic. "I have become the bag lady at my school," she said. She recently took her message to the City of Walker. "I read a letter in front of the Walker City commission to ban plastic bags," Pearce said. She isn't alone in her fight. Muskegon County is considering a plastic bag ban, too, because of clean-up expenses at the wastewater treatment plant. "The county spends $25,000 a year to make sure these bags are picked up," explains Terry Sabo, Muskegon County Commissioner. The county is looking into the legality of a ban and plans to address the concept at a later date. While plastic bags may cost city governments money, businesses could pay a price if plastic bags are banned. "I heard from a retailer just yesterday that said that if we had to make a change from plastic to paper it would cost our business $13,000 a year," said Walker Mayor Mark Huizenga. Huizenga worries that creating a patchwork of county and city ordinances would be bad for businesses like Mejier, which has a presence all over the state. "If the grassroots effort really wants to make this effective, it would be to take it from a statewide perspective; that would probably be healthier." Pearce says she isn't giving up. There are hundreds of countries and cities already taking measures to reduce plastic bag use. "Its one little step at a time," said Pearce. "Anything we can do to make a difference; we need to help this planet. If we don't, then it's gone."